Economic Dynamics Annual Conference to be held in Mexico City. Mexico City is a unique visitor destination offering a wide range of attractions combining historic and modern day life in a vibrant and friendly atmosphere. Take a day to visit the pre-hispanic ruins of Teotihuacan, or visit the Centro Historico and marvel at its rich architecture form the Catedral and Plaza del Zocalo to Palacio de Bellas Artes, visit world-class museums, or spend the day at some of the modern day bustling neighborhoods and enjoy a fine dining experience at some of the world’s top rated restaurants. Getting to Mexico is easy from anywhere in the world, daily direct flights to Mexico City from mayor U.S. and European airports are available. The program is housed in an application named guidebook. Once the guidebook is installed on your device search for SED 2018. 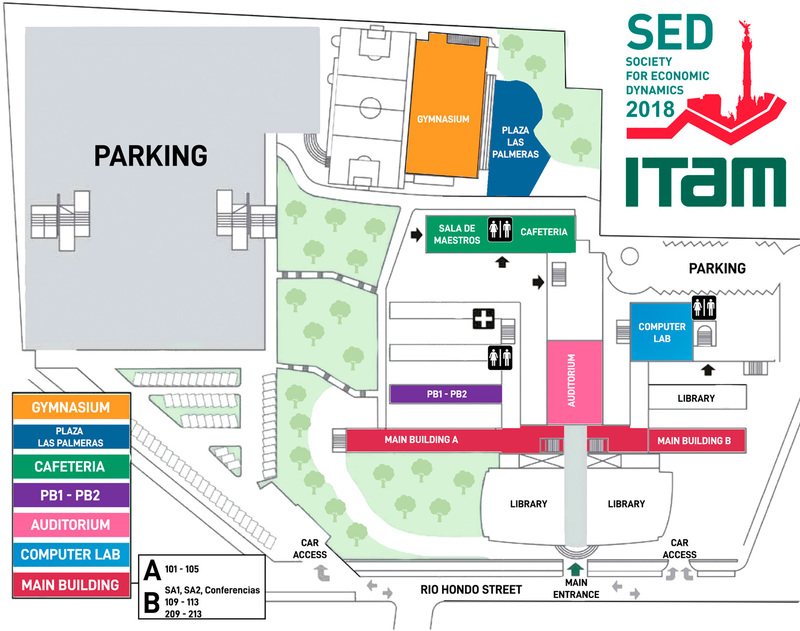 The SED Annual Meeting is hosted by the Instituto Tecnológico Autónomo de México. Copyright© 2018, SED All right reserved.